This is the award winning Soft-eReader from RabitSoft; Imagine being able to read your favourite classics on your pc, with the ability the bookmark, print/preview, auto scroll and even show how much of each book has been read. 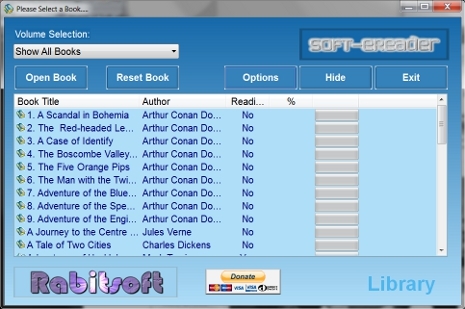 Download the demo version of Soft-eReader now. Auto Bookmarks, so you pick up where you left off!